[LOOK] Did Nokia just say F*** you to fans? Seems like someone at Nokia NZ has been a little mouthy recently. Nokia, no doubt, deserves credit for being one of the sassiest brands on social media. Remember when it took a jab at Apple’s new range of colourful phones? 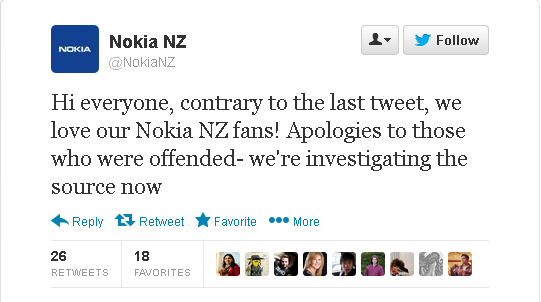 But yesterday the brand on its twitter page ( @NokiaNZ ) acknowledged its fans with a simple “F*** you”. The tweet was quickly deleted. Our guess to what actually happened ranges from hacking, an underpaid intern or an angsty employee. 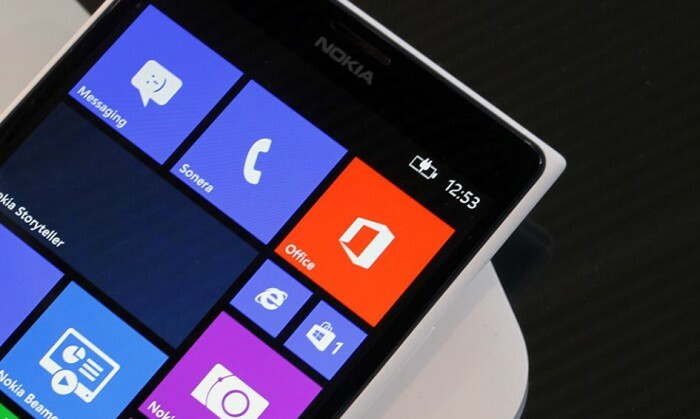 Did Nokia’s mouthy comment cost it a few social media cookie points? Or wait, perhaps the publicity got it a few more fans? Either way, attempts to reach Nokia for thoughts were unsuccessful at the time of publishing. Rubicon Communications, publishers of Time Out Hong Kong, has landed the custom publishing contract for M life, a luxury magazine .. The struggling airline currently has a fleet of 38 aircraft with reports saying it was close to cutting this number of passenger j..
H.J.Heinz consolidates media business with Omnicom Media Group globally. .. Billboard announced a strategic expansion into the Asian media markets in partnership with the AlgoRhythm Communications Inc, base..
Courts has launched its new online store and plans to get into the mobile space to cater to the growing popularity of online shopp..